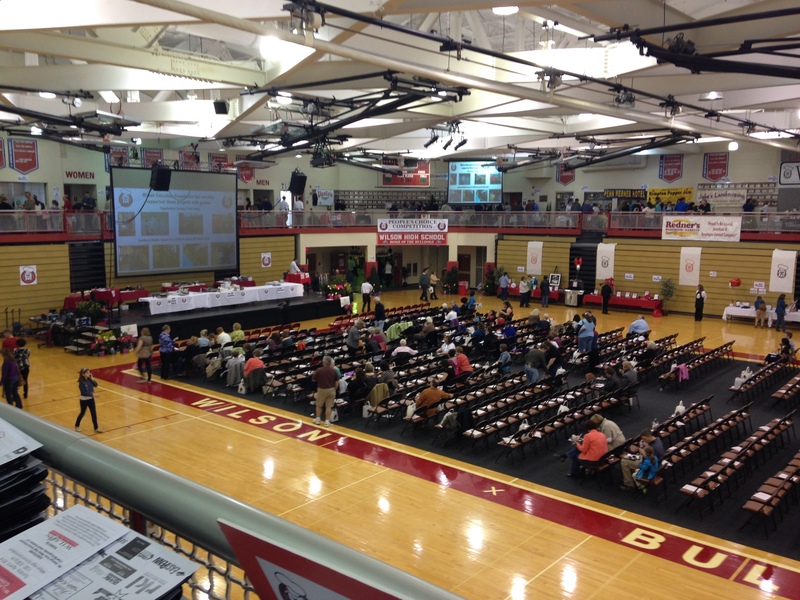 On April 6, the Wilson Education Foundation hosted its first Iron Chef competition in the gym at Wilson High School. 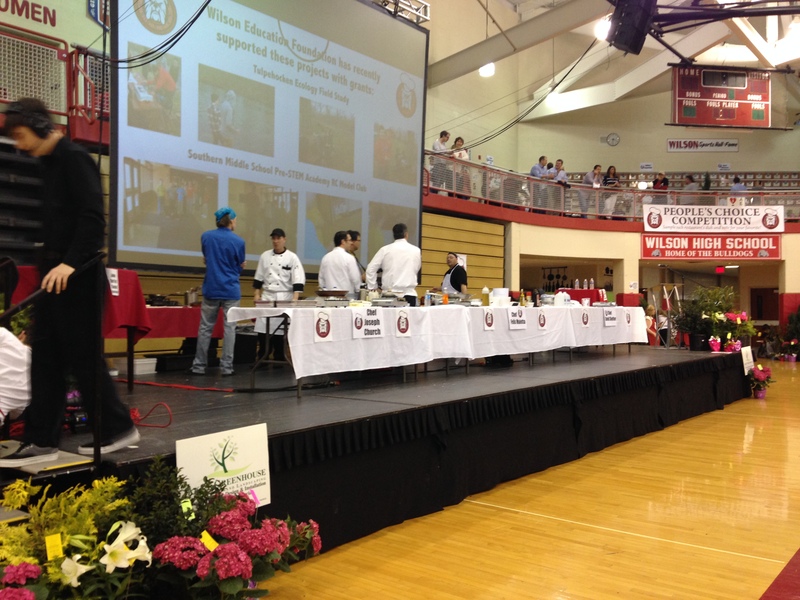 The event, which saw chefs from three local restaurants compete in the Iron Chef battle, was a huge success. More than 500 hungry patrons came to watch the competition and sample items from more than 40 food industry vendors, including restaurants, caterers, bakeries, dairies and farms. At an event like this, I couldn’t help but start with dessert. 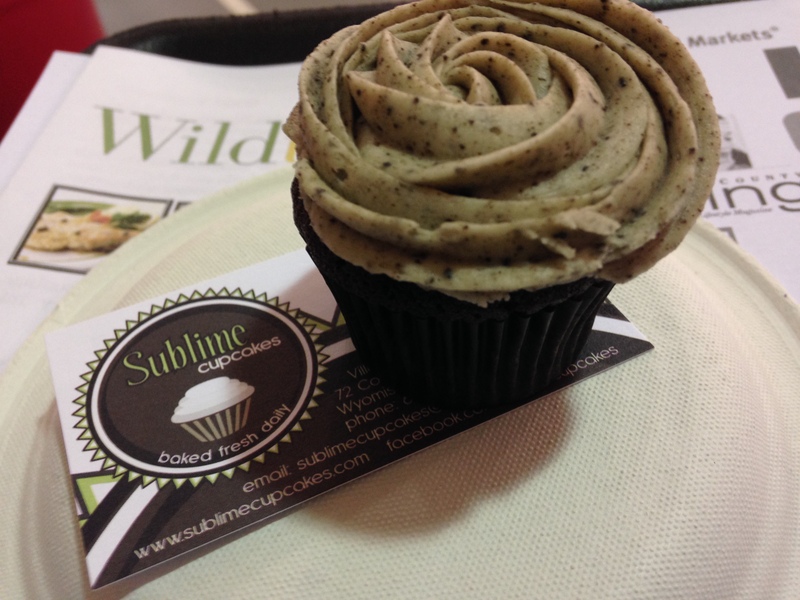 Sublime Cupcakes in Wyomissing offered chocolate cupcakes with Oreo icing. This was, hands down, one of the best cupcakes I have ever tried. It was like a triple-stuffed Oreo, rich in chocolate and extra creamy. 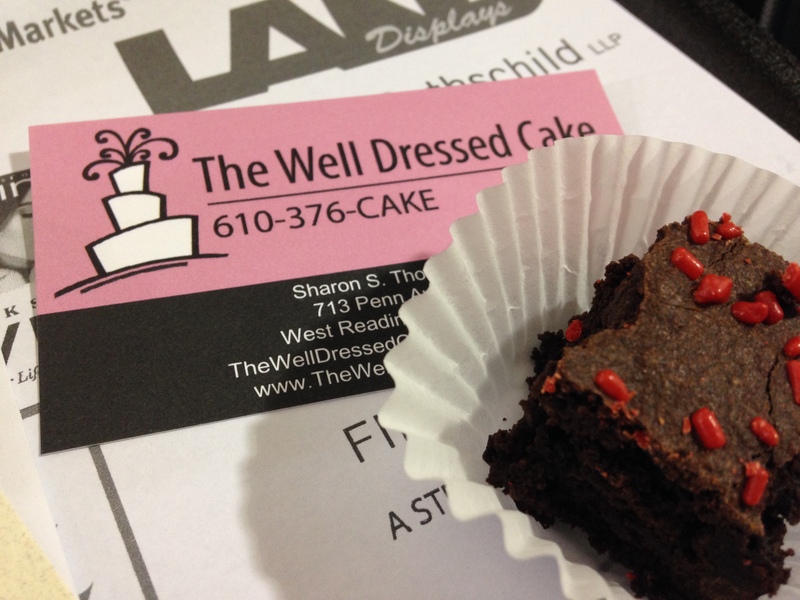 West Reading’s The Well Dressed Cake countered with a selection of brownies, including this Mexican Spiced Brownie. It was certainly chocolaty, but not nearly as a spicy as I was expecting, with just the faintest hint of chili peppers coming through. 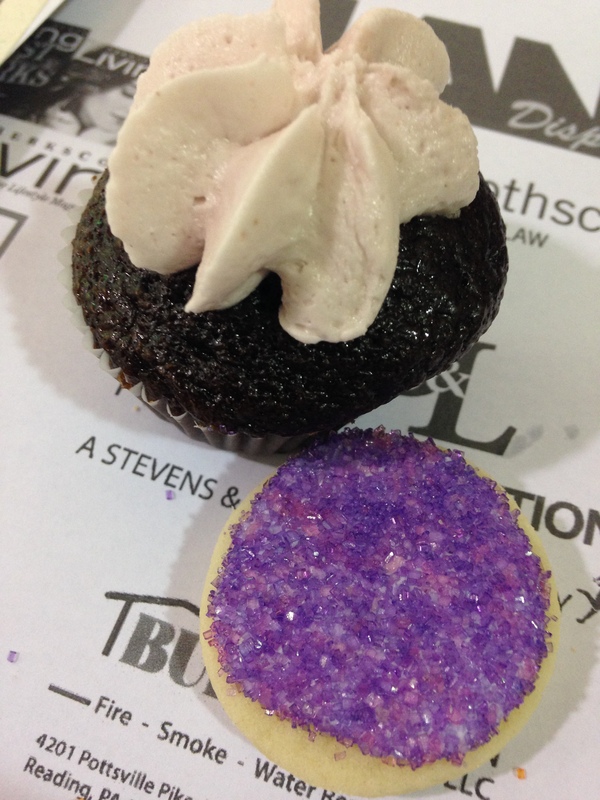 Sweet Addictions Bake Shop in Reading also brought some tasty desserts, including a very sparkly sugar cookie and a chocolate cupcake with raspberry frosting. The cupcake was a delicious dark chocolate, but the icing provided only a hint of raspberry, not nearly as strong as the flavor in Sublime’s offering. 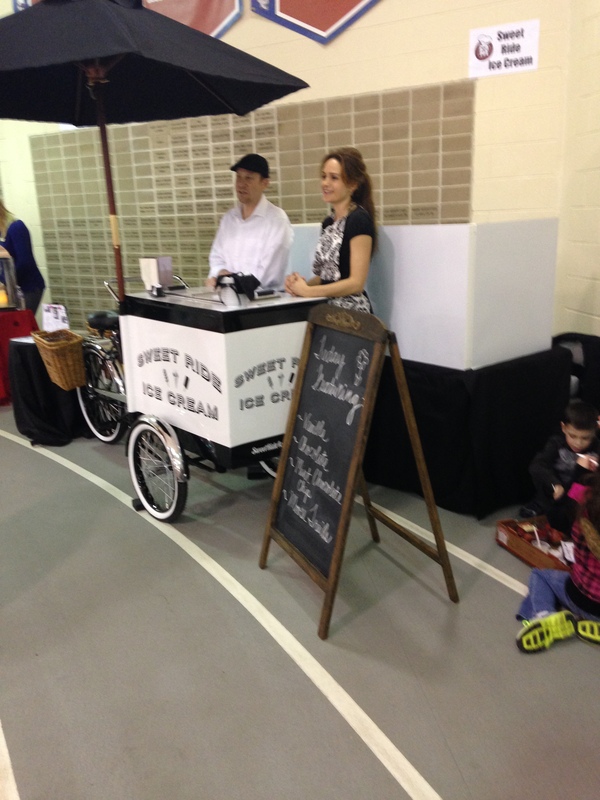 Sweet Ride Ice Cream was another of the many dessert vendors at the event, serving four flavors out of their cart. The freezer was turned up a little too high, but once the ice cream softened a bit, the mint chocolate chip and vanilla scoops that I tried were good and creamy. There were also plenty of appetizers to go around, including this tomato salad from Russo Market in Wyomissing. 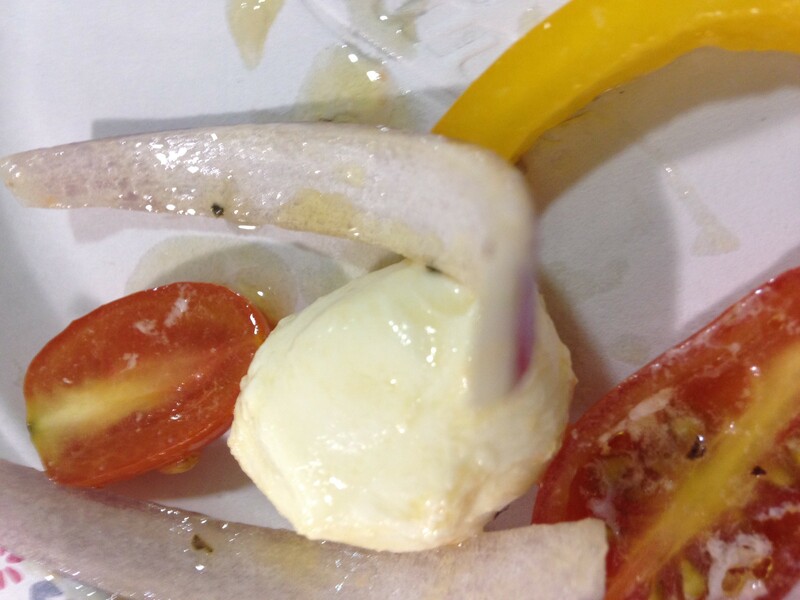 Chunks of mozzarella with sliced tomatoes, peppers and onions – my four favorite salad ingredients mixed together without that annoying lettuce. 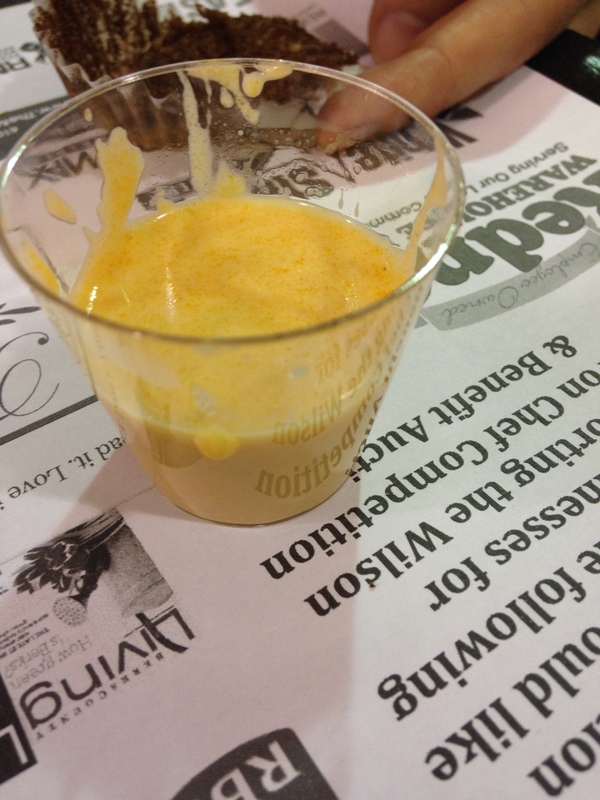 Viva in Wyomissing brought along small shot-glass sized samples of its Lobster Bisque. Seafood is not my thing, but if you are a lobster lover, you would probably love this. 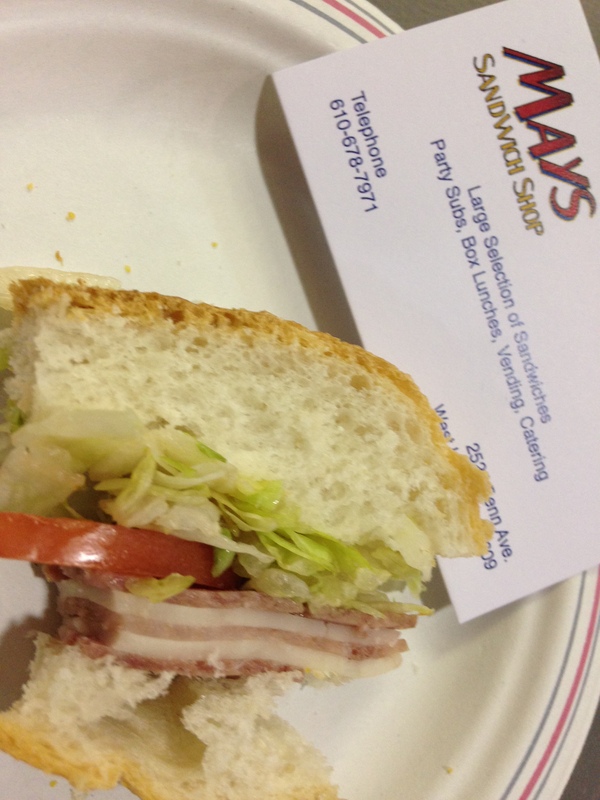 Mays Sandwich Shop in West Lawn brought along a few of its classic subs, including this ham and cheese. 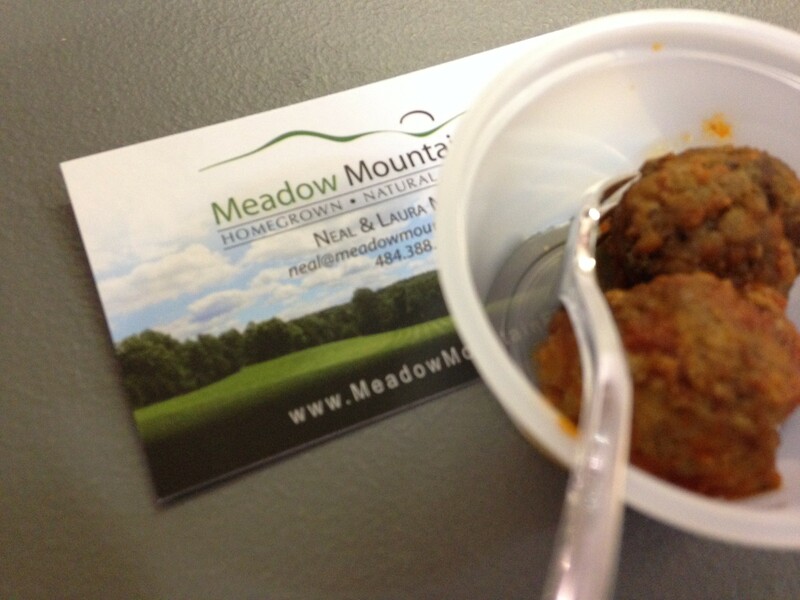 Meadow Mountain Farm in Robesonia brought some of its organic, grass-feed beef meatballs. Unfortunately, the meatballs were cold, and the sauce didn’t do them any favors. Paolo’s on Lancaster Avenue brought along a main course and dessert. The pizza had cooled off and dried out by the time I got some, but was good enough to make me want to go and try a fresh slice. An abundance of Italian vendors included Salino’s, who offered both meatballs and Italian sausage in a very tasty marinara sauce. 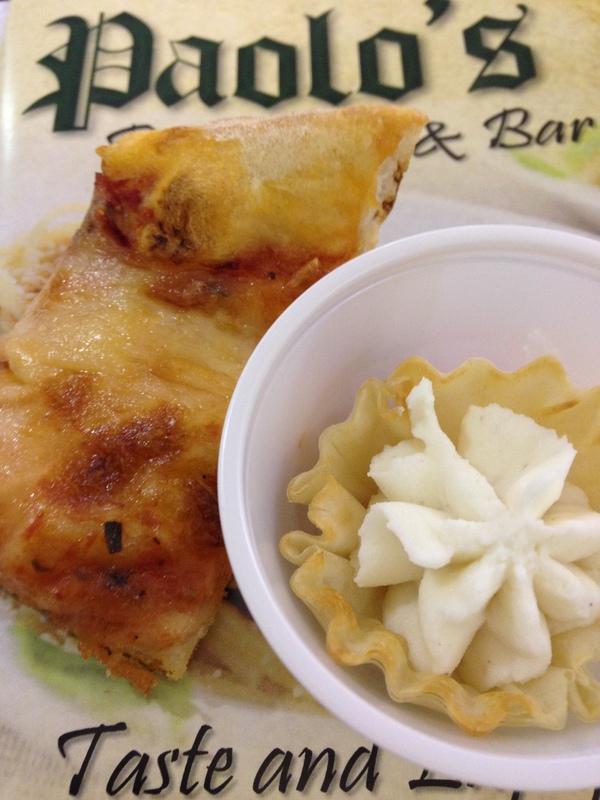 But the best of the bunch came from Mama’s Pizza in Sinking Spring and Wyomissing. 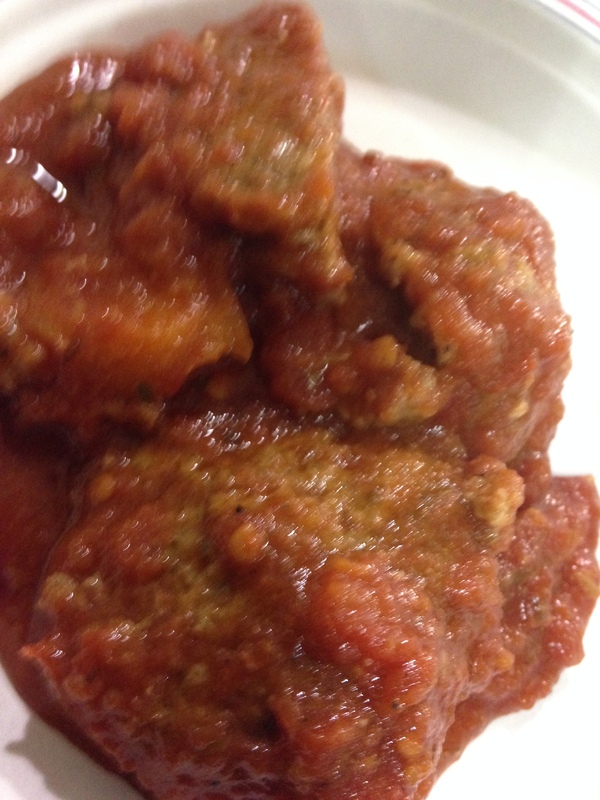 Besides handing out half slices of some really good pizza, Mama’s served homemade meatballs in their marinara sauce. 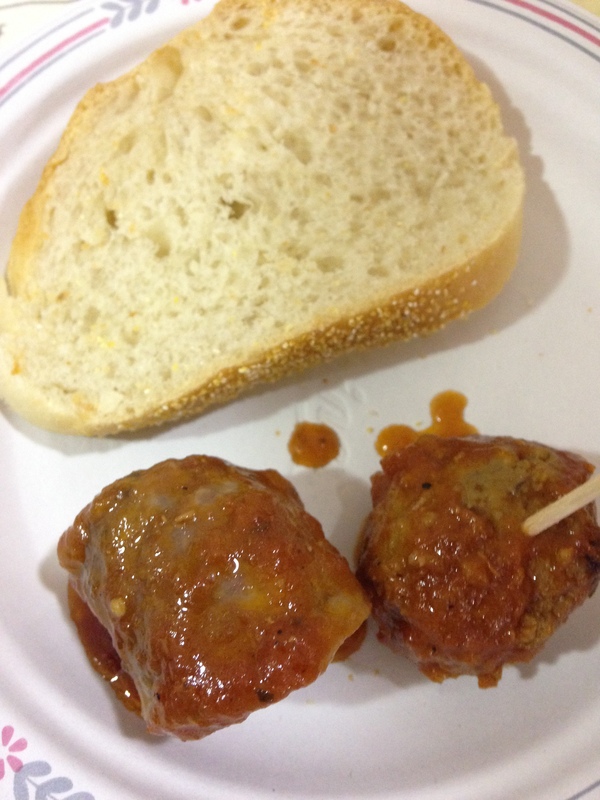 This was as good as any meatball I have tasted, completely unexpected from a strip mall pizza place. 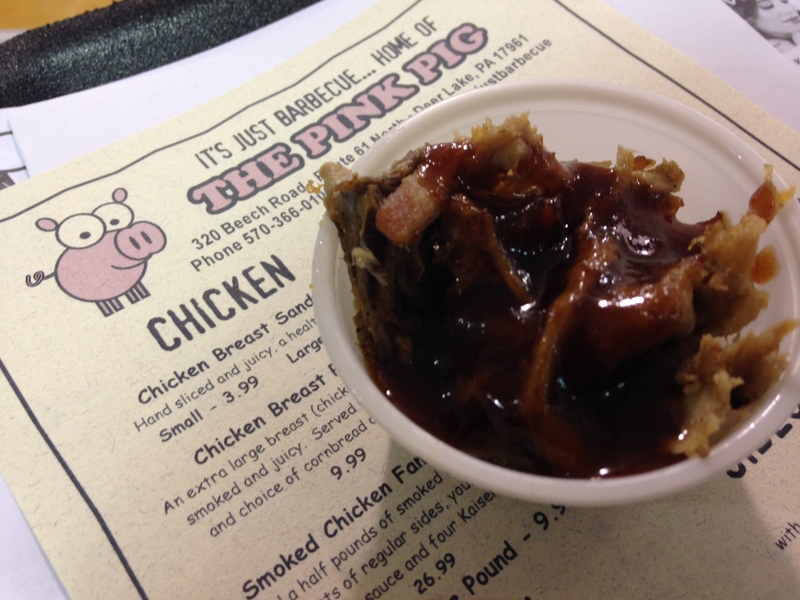 Another highlight was the pulled pork from It’s Just Barbecue (aka The Pink Pig) in Deer Lake, Schuylkill County. The pulled pork was really tender, but what really sealed it was the honey barbecue sauce that was perfectly sweet. 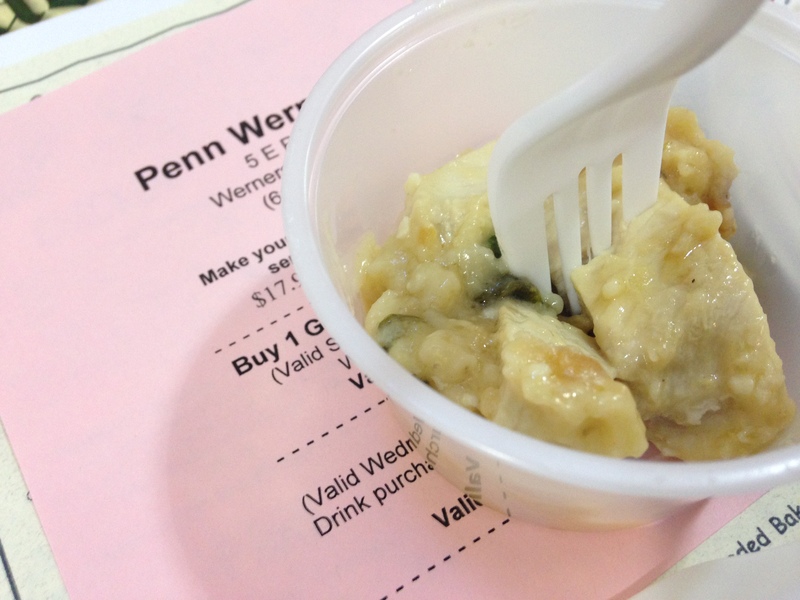 The Penn Werner Hotel, which was represented in the Iron Chef competition, itself, also served up samples in the vendor area. This asiago chicken was one of the best dishes I sampled. The chicken was fresh and the sauce was perfectly creamy. This was the biggest surprise of the day. 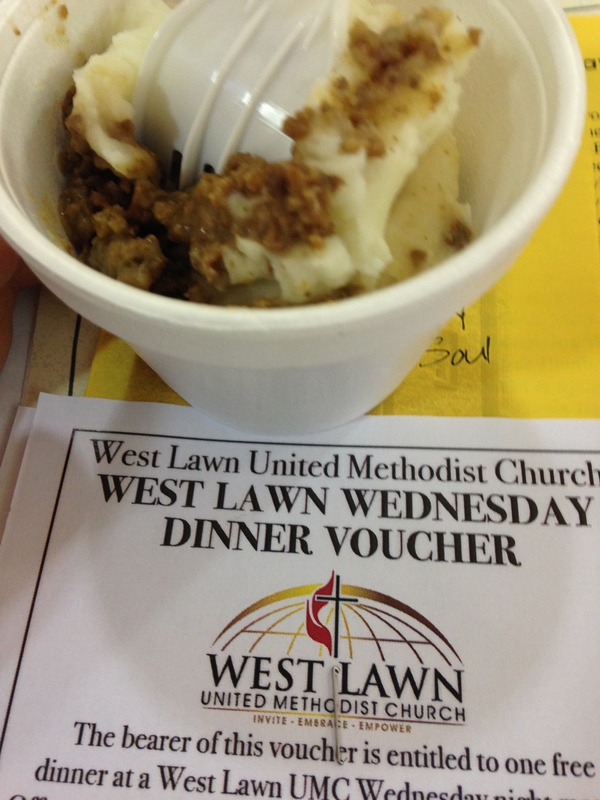 The West Lawn United Methodist Church has a program called West Lawn Wednesdays where they serve homemade dinner to the community. The shepherd’s pie they brought to the Iron Chef was simple, but amazing. Beef, potatoes and gravy were the only ingredients, but I would put this up against any area restaurant. 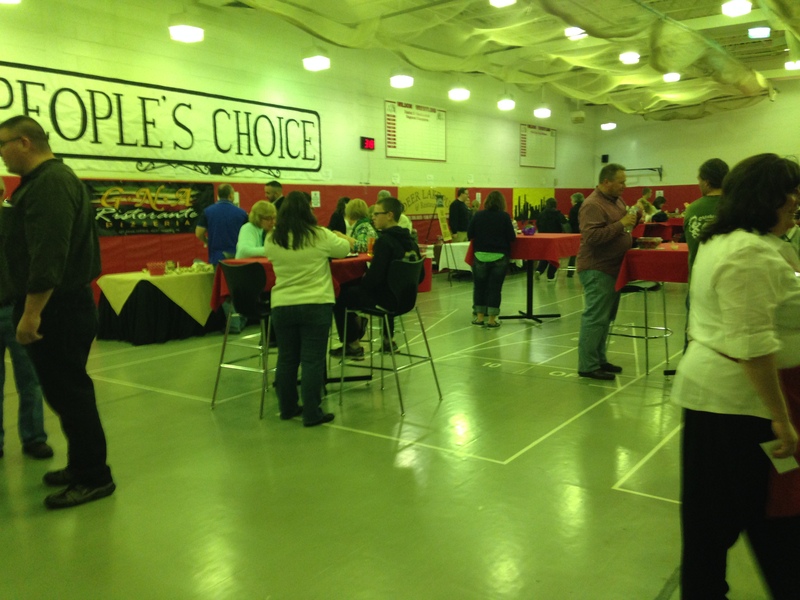 Inside the auxiliary gym, five restaurants vied for the title of People’s Choice. Each one had to use the “secret ingredient” to create a unique dish. And the event organizers picked an ingredient that screams Berks County: pretzels. The Hitching Post, h2o Kitchens, Galen Hall, Deer Lake Pub & Restaurant and GNA Ristorante all mixed the salty snack into their dishes. While GNA appealed to the sweet tooth with a chocolate covered pretzel tiramisu. 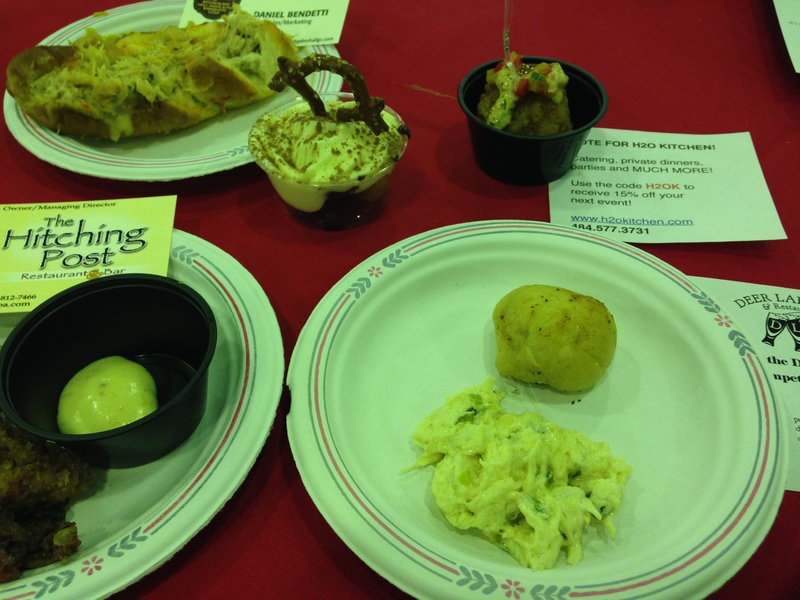 The rest all did a take on crab dip, either as a dip or inside a stuffed pretzel. We gave our votes to Galen Hall, but it was h2o and GNA that finished in the top two, earning them places in next year’s Iron Chef competition. That led to the main event, the Iron Chef competition. 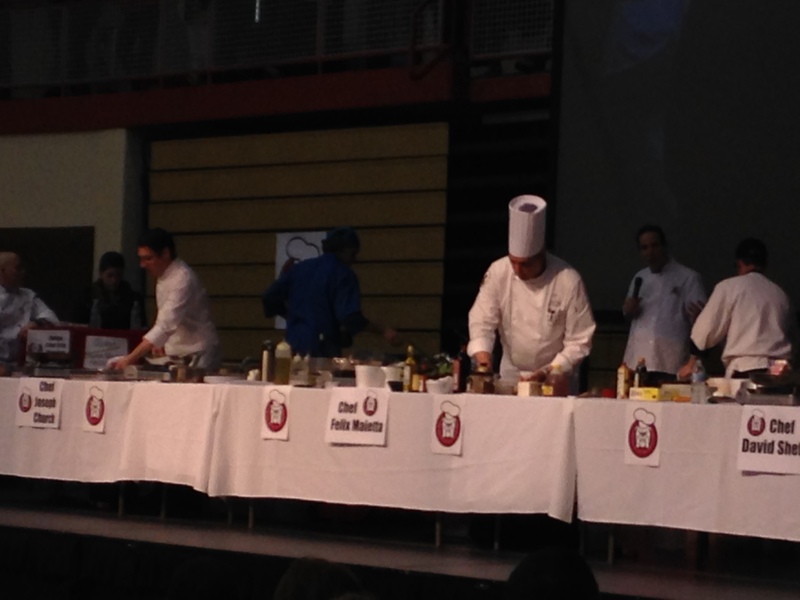 The three competitors were Chef David Shefter, Penn Werner Hotel; Chef Felix Maietta; ViVa; and Chef Joseph Church, Jimmie Kramer’s Peanut Bar. The secret ingredients for the competition were center-cut pork loin, chayote squash and half-blood oranges, challenging the chefs to come up with ways to include these three unique ingredients. When the final votes were tallied, it was Chef David Shefter of the Penn Werner Hotel taking home the top prize with his Mexican rub pork roast, served with arugula salad and vegetable latke. Chef Shefter will return in 2015 to defend his crown against the People’s Choice winners. And I will be there “eating up” every moment.